Phone Virgin Money on their general enquiries contact number 0345 600 6103 to find out more about their financial products including credit cards, insurance policies and pension funds. This is also the main telephone number for current account customer services therefore you should dial this helpline if you would like to make a balance transfer, add a new person to form a join bank account and to open a new account. You should also phone this helpline for technical support with their online banking platform, for example if you have forgotten your login details you can reset your username and password by calling this customer care help-desk. Calls to the Virgin Money telephone number 0345 600 6103 are charged at the same rate as calls to local 01 and 02 UK numbers, thus you can call them for free if you have a free inclusive minutes package from your landline or mobile provider. Otherwise you will have to pay a per-minute fee plus a nominal access charge which will be shown on your following telephone bill. Lines are open 8am-8pm on weekdays, 8am-4pm Saturday and 10am-3pm Sunday plus opening hours may be reduced on bank holidays. Contact Virgin Money credit card services for free by dialling their freephone contact number 0800 011 3210 to apply for a new card, to check the APR interest rates which affect your balance and to close an account once you have paid off the remaining debt. If you have previously applied you can dial this number to track your application to check if you have been accepted, this is dependent on your current credit score thus you should check in advance whether you are eligible for a particular Virgin Money financial product. Once your new card has arrived you should call this helpline to activate it so that you can use it to purchase items in store, online and to withdraw cash. Alternatively if you have a Virgin Atlantic credit card or you wish to call Virgin Money from outside the United Kingdom you should consult the appropriate table at the bottom of this section. Contact Virgin Money for free on their freephone number 0800 011 3210 to report your credit card as being lost or stolen. If you are unable to find your card after a short period of searching for it you should call Virgin Money immediately to cancel it as it may have been taken by criminals who wish to access your funds. Once it has been cancelled you can use this service for information on how to withdraw money from your finances without the use of your credit or debit card. Similarly if you have upcoming bill payments which were made with your card you can call this helpline to have these redirected to your main account. Phone Virgin Money on their dedicated UK contact number 0345 600 7301 for enquiries about their savings accounts, cash ISA funds and fixed rate bonds. You can call this helpline to check the interest rates which help your money to accumulate and to check how often you can withdraw money as some funds have strict limits on when you can take out your cash. They also offer a range of specialised help-to-buy ISAs for new homeowners thus you can call this helpline to check if you are eligible for these products. Please note that this phone number only applies to customers who opened a savings account by post, over the telephone or in a Virgin Money branch thus if you have an online fund you should call the telephone number from the table below. Get in touch with Virgin Money over the telephone by calling their UK contact number 0345 605 0500 to apply for a mortgage, to manage the repayments towards you current property and to notify them that you are moving home. They also offer a few dedicated products for first-time house buyers as well as existing homeowners looking to remortgage their properties so please call their UK-based customer care team for full details. Please be aware that if you are unable to keep up with the repayments your property may be seized, thus if you are experiencing financial difficulties you should dial this number to inform Virgin Money as they may be able to provide support by delaying a payment date or by restructuring your debt. Call the Virgin Money investments contact centre by dialling their UK phone number 03456 10 20 30 to manage your existing portfolio, for general enquiries about their pension accounts and to open a new fund. They offer a range of financial products including unit trusts as well as stocks and shares ISAs, each of these products carries a different level of risk thus you should seek financial advice prior to opening a new portfolio. You should also phone this helpline to enquire when you can withdraw money from your pension fund and to change to a different product, thus potentially securing a greater return on your periodical investments. 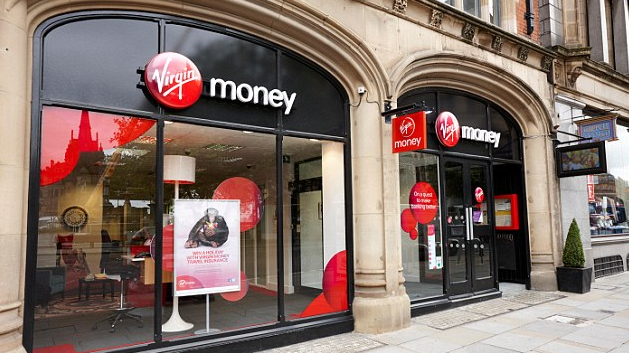 Phone Virgin Money on their loans contact number 0345 600 6622 to set up a borrowing agreement with the bank, to pay back outstanding debts and to confirm the annual interest rates which affect how much you will eventually pay. You can also call this helpline if you are struggling to make your monthly repayments to get confidential financial advice. Please note that loans are often secured against your property and valuable possessions such as your car so you should call this helpline to arrange an appointment in your local Virgin Money branch to check if you can afford to borrow from them. Contact Virgin Money regarding their range of prepaid cards by calling their national phone number 0333 900 5005, here you can get support on adding funds to your card balance, applying for a new card on behalf of a teenager and on getting a travel money card for when you are travelling abroad. If you have lost your card you should report it to them so that they can refund the outstanding balance into the current account which you used to add money to the card. 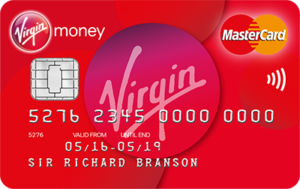 You can phone Virgin Money to enquire about a prepaid card between 8am-7pm Monday-Friday and 9am-5pm Saturday so please do not attempt to contact them on Sundays. You can get customer service support with your Virgin Money home insurance policy by dialling their telephone contact number 0330 303 1123 where you can renew your property cover and for cancellations if you are moving home. You should also call this helpline to add valuable possessions to your contents policy which is useful to protect family heirlooms, paintings, jewellery and motor vehicles stored in your garage against theft. If you need to make a claim on your home insurance policy or if you would like to get a quote you may examine the following table to find the appropriate phone number to call. Phone Virgin Money on their dedicated car insurance contact number 0330 303 1125 to get a quote for your motor vehicle, to get a chipped windscreen repair and for roadside recovery following a breakdown. You should also call this helpline to renew your cover, add another named driver and to add another car to a multi-car policy. Alternatively if you need to make a claim on your Virgin Money car insurance policy you should dial their UK phone number 0330 303 1126 to receive compensation following an accident which was not your fault. Please be aware that if you currently receive a no claims discount due to your previous safe driving record this may be affected if you seek damages against the other party involved. Phone Virgin Money by calling their travel insurance contact number 0330 400 1249 to get a quote for your international trip, to amend your policy if you are changing the dates you fly out on and for travel advice. For instance you should call this helpline to check which vaccinations are recommended before your stay in a foreign country and to add extra activities to your policy such as ski cover. In the unfortunate event that you or a member of your party has suffered a medical emergency whilst on holiday you should phone the appropriate emergency contact number from the table below. Insure your beloved pet with Virgin Money by calling their UK telephone number 0345 603 3585 where you can also contact an advisor to get a quote, to renew an existing policy and to update your personal details. They also offer a range of bespoke insurance services to help you care for your pet including finding an affiliate veterinary surgeon and legal services for pet owners. Losing a pet can be devastating so if you have suffered a bereavement you can call the phone numbers from the table below for sensitive counselling and to make a claim on veterinary bill payments. Contact Virgin Money life insurance by calling their general enquiries contact number 0345 604 3370 to renew your policy, to amend your personal details and to notify them that a loved one has passed away. Unfortunately Virgin Money are no longer offering new policies so you will be unable to get a quote for life insurance however you will still be able to get customer service support on your existing cover. Please be aware that this phone number only applies to Virgin Money life insurance policies which were taken out after 23rd February 2015 so if your policy is dated before then you should select the correct phone number from the following table. Contact Virgin Money to transfer funds abroad by calling their UK phone number 0330 159 3896, here you can check out the cost of sending money overseas as well as get updates on the charges applied by the bank. If you regularly transfer fiances abroad you can call this number to set up a new account with Virgin Money which is particularly helpful if you operate a small business which has an international supplier. Postal enquiries to Virgin Money can be directed to their UK head office address which is provided below for your convenience, however please do not include any sensitive information about your bank account when you write to them as this is not a secure method of communication and as such your letters may be intercepted by fraudsters. If you would like to email Virgin Money you should use their web address customerrelations@virginmoney.com where you can submit complaints, get technical support with an online banking issue and ask general enquiries about their financial services.